MVCCA is committed to reaching out to the broadest possible constituency of community members; this means you. There are lots of ways to get involved in the MVCCA, depending on your interests and inclinations. If you are most interested in building community, help organize neighbourhood events like a block party, a party in the park, or a telephone pole paint-in. If land use, or density or traffic concerns you, help the Association help Saanich to make informed decisions on these issues, by attending Council meetings to listen and speak about issues on behalf of the Association. Transportation: identify traffic hot spots and advocate for a traffic plan for the neighbourhood that facilitates traffic flow while creating a pleasant pedestrian friendly streetscape. 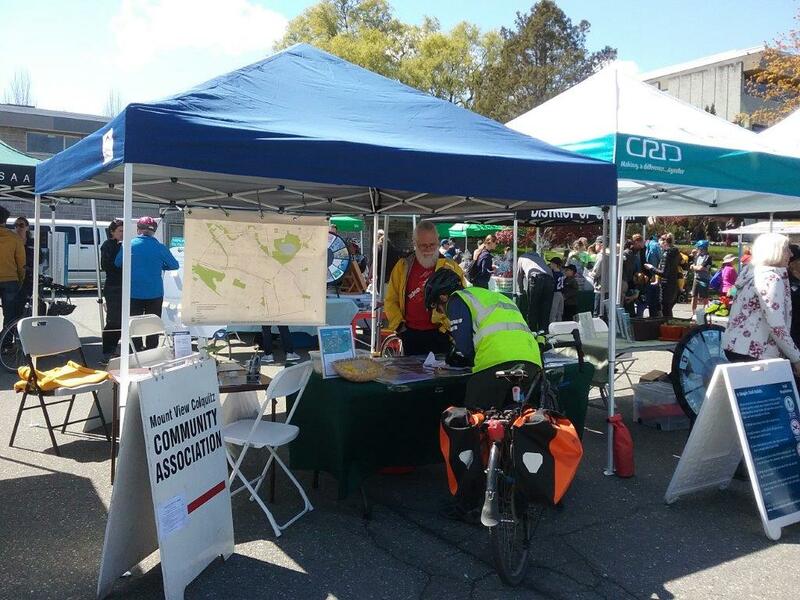 Environment: connect with initiatives to protect creek habitats, set up local mobile recycling days, beautify streetscapes and optimize parks and green-space. Membership costs $ 5 per year, payable at any time. Members have an opportunity to impact all events, association business and issues with which the association is concerned and to contribute to the creation of their community.